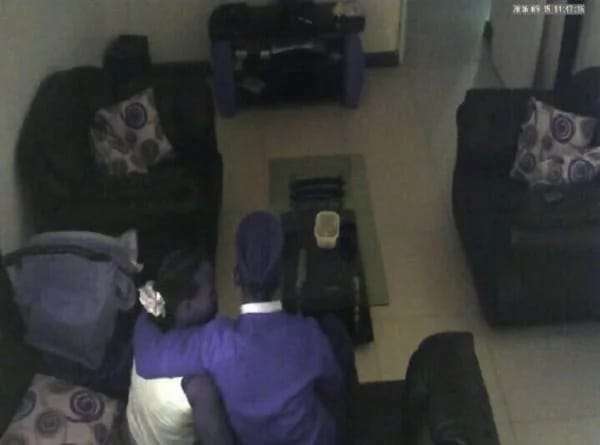 Photos of a Nairobi woman caught on camera engaging in all manner of debauchery with a watchman have not only shocked the man who installed the CCTV camera but also Kenyans as well. The anonymous husband reportedly installed the CCTV camera to monitor the activities of his househelp following an increase in bizarre cases involving maids. 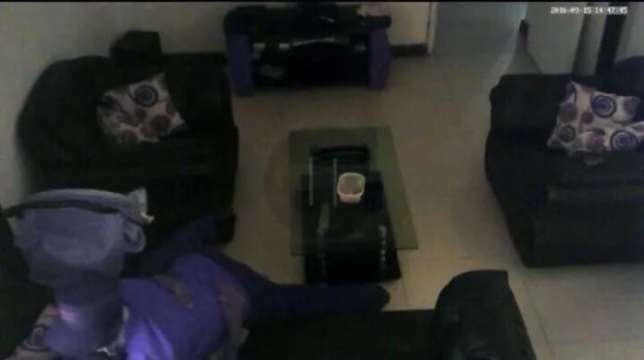 The man hid the CCTV camera at a place which showed almost the entire space in his furnished living room. While the man was waiting to bust the nanny doing some weird stuff in his living room, he was taken aback to discover the CCTV camera had exposed his promiscuous wife. The CCTV footage showed a watchman ‘eating from the same plate as his boss’; apparently the two lovers were accustomed to eating the forbidden fruit since the man of the house was usually at work while his wife and the watchman had all the time to fool around during the day. The man is said to have shared the CCTV footage with a local news outlet to expose his cheating wife and the watchman.